This addon is multi-featured module which allows to add product photos by your customers or guest on shop site. 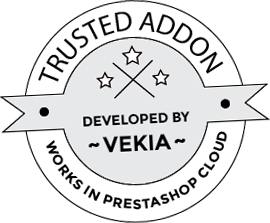 With this module you can build with your customers awesome product gallery. 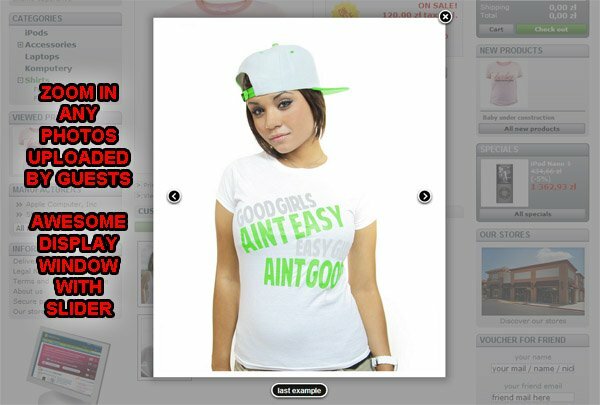 Customer product photos is new way in interaction with your customers or shop guests. 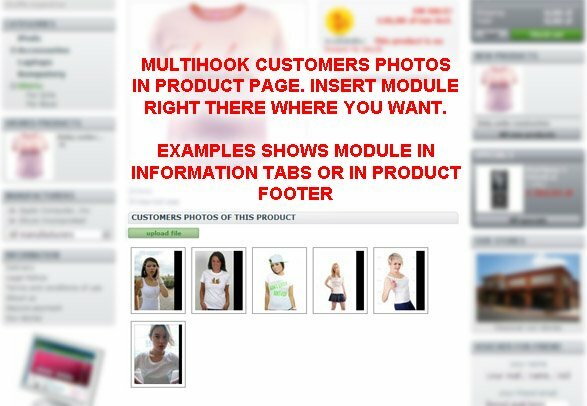 This module allows you to add multi-features boxes with tools for both you - and your customers or shopsite guests. 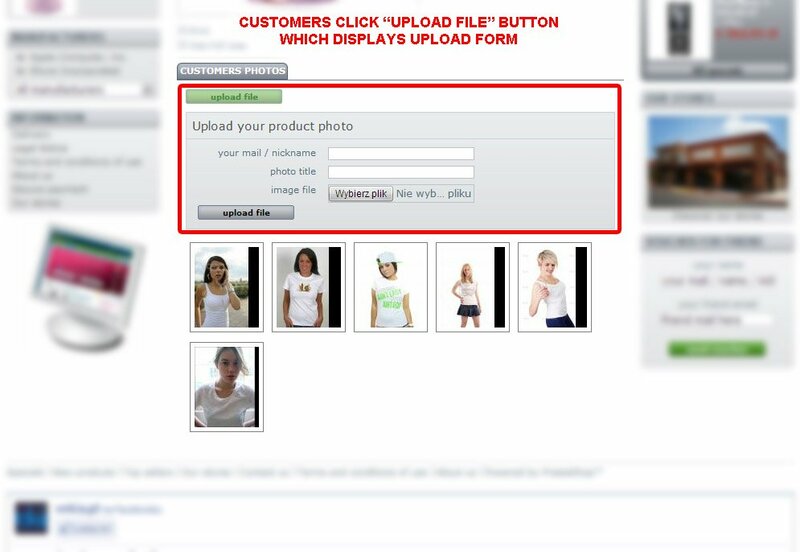 With this module your customer allows to add product photos - for example: customers in shirts (bought in your shop). Wit this addon you will increase product page quality and add awesome feature. Customers can use module feature to upload product photos. Moreover - they can manage photos they uploaded. For example: Someone bought shirts in your shops, wear them and get some photos. Now - they can upload photos to product page gallery.